Princess Robles scores 20 points to lead all scorers. PRINCESS Robles and Audrey Paran delivered the big hits in the endgame as National University knocked University of the Philippines out of the Final Four race with a 25-21, 26-24, 17-25, 23-25, 17-15 victory on Sunday in UAAP Season 81 women’s volleyball tournament at the MOA Arena. 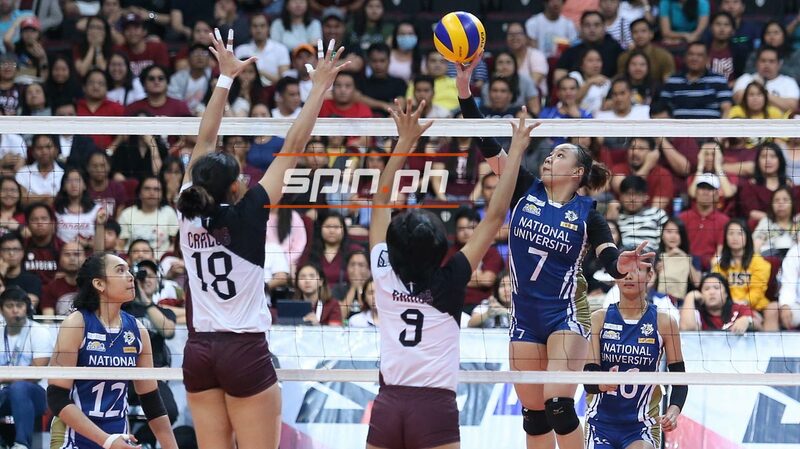 The rookie-laden Lady Bulldogs squandered a two-set lead but Robles came to the rescue in the fifth set and NU scored its fourth win in 13 outings. UP dropped to 6-7, allowing Far Eastern University and University of Santo Tomas to clinch semifinal spots, joining league-leading Ateneo (10-2) and La Salle (9-3). Robles scored 20 points and made 17 digs and nine excellent receptions, while Paran scored 15 points from 14 kills including the match-winning spike. Skipper Roselyn Doria scored 12, while libero Jennifer Nierva had 30 digs and 27 excellent receptions. UP misses the Final Four for the third straight year, failing to live up to the expectations after championship runs in the collegiate tournaments of Philippine Superliga and Premier Volleyball League. Tots Carlos, limited to three points in the first two sets, finished with 18 markers, all coming from attacks. Graduating setter Ayel Estrañero was the second top scorer of UP with 11 points while making 24 excellent sets. Isa Molde had nine points and made 21 digs and seven excellent receptions.